“Drowning is silent.” During my high school life-guarding days, our manager used to repeat the phrase in earnest. Lately, the verbiage has played in a loop in my mind, as I struggle physically and emotionally with my husband’s coming deployment. 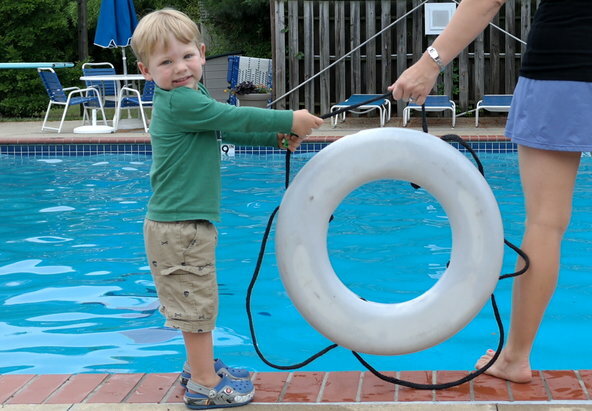 I vividly remember my first rescue at the pool, and now that memory feels like the best metaphor for our current situation. A 4-year-old in pigtails and a bright purple suit tiptoed down the zero-depth entry into the throng of swimmers, slowly getting deeper and deeper into the water. There was something about her cautious steps that drew my eyes to her. Then the purple suit was gone. The pigtails went under. The crowd didn’t notice, but I dived in and pulled her out. Drowning is silent — that’s one reason we watch our pools so closely. 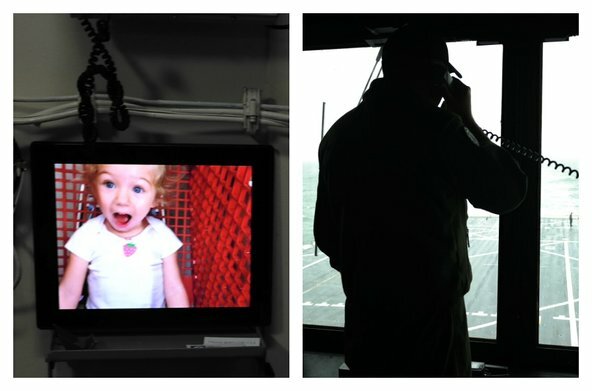 The challenge with military life, and maybe it’s just parenting in general, is that oftentimes no one is watching. How do we know when we’re getting in too deep? With raging mommy guilt, back-to-back work trips, long-standing commitments, my inability to say no, and laundry and deadlines piling up around me, the week before last I felt as if I was that little girl in the purple suit. My husband returned from a three-week “underway” on a Friday afternoon at 3, only to return to the ship the next day at 6 a.m. for duty, meaning another overnight stay. He would be gone only for one day, and after nearly a year of what feels like a revolving front door, it should have been nothing. Instead, as my 2- and 4-year-olds argued over who ate the last imaginary piece of pizza, I had a meltdown. What happens when he leaves for seven to 10 months straight? How am I going to do this by myself for the next year? Who has it harder – the one deployed or the one left behind? After 13 years of war, I think it’s a reasonable assertion that the one in harm’s way generally holds the trump card. But there is another side. A friend of mine once said in a Christmas card that her son might be the soldier, but her daughter-in-law and grandchildren were the troopers. Four years ago, I sat on the couch in my favorite maternity pajamas, my legs curled to the side. Completely preoccupied, I was willing myself to read, while my fingers lightly traced arbitrary circles around my very pregnant belly. My phone rang, and the “No Caller ID” on the display sent a sense of relief coursing through my body. 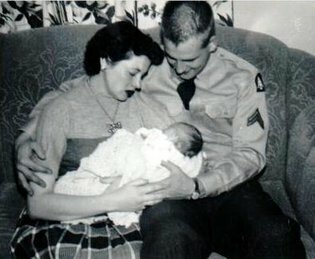 My husband was calling from Iraq, where, days before, his base was attacked while we were discussing baby names. After a warning siren and a quick “I got to go,” I was left holding my phone, breath, and what felt like our future. I sat in my car pleading with God to let this child meet his or her daddy. Per security procedures, all communications on his base were suspended, an apt term for how I felt during those quiet days. The phone call I had been waiting for finally came. Unfortunately, the discussion was not what either of us intended. Somehow, we quickly steered into the unchartered territory of who had it worse. Years later, I’m still mortified by my reaction. Deployments: Costly. Remembering Why We Do It: Priceless. 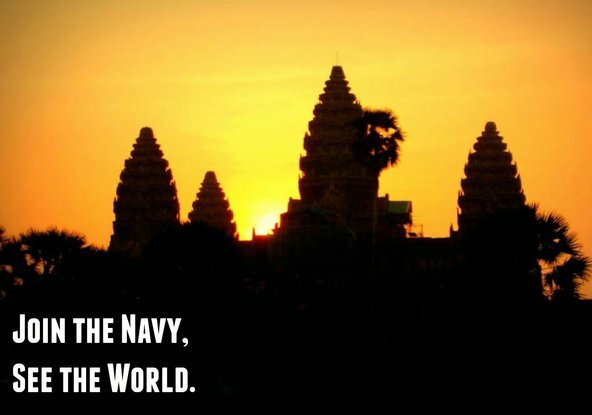 There is a vintage poster I saw years ago touting the slogan “Join the Navy, See the World.” Early in our marriage, we fulfilled it, hiking the jungles of Saipan where my grandfather fought during World War II, watching the sunrise at Angkor Wat in Cambodia, exploring the castle grounds in Kumamoto and jumping from waterfalls in the Northern Territory in Australia. Over his first deployment, I met his ship in exotic ports at every chance. His second deployment was to the Middle East, where his adventures were of a different kind: flying in combat as an air ambulance mission commander. This round, he is again attached to a ship that will (I hope) pull into a port that allows visitors, but whether or not, with two toddlers, I’ll be able to make the journey overseas remains to be seen. 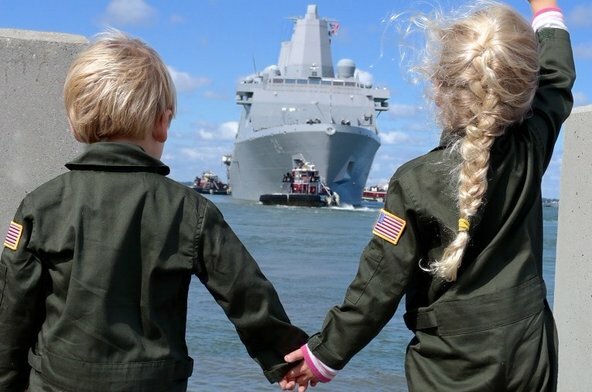 Consequently, when my husband and several of his shipmates were asked to march in the St. Patrick’s Day parade in Boston a few weeks ago, I knew I had to take advantage of the chance to see him. A dear family friend agreed to watch our children, and for the first time since our pre-parenthood days, I set off to meet him for a child-free weekend. I recently read somewhere that doing the same thing over and over again and expecting different results was not the definition of insanity, but rather, the definition of parenting. The sentiment perfectly sums up bedtime with our 2½-year-old: routinely insane. We’ve cried it out and cuddled it out. We’ve bathed, read and rocked our way into different routines, to no avail. We’ve finally settled on “good enough” which consists of a bath, a story, only two trips to the bathroom, bedtime prayers and a hug and a kiss. In my son’s defense, I was (and, let’s be honest, am still) the same way. The struggle is real. I don’t like going to bed any more than he does. 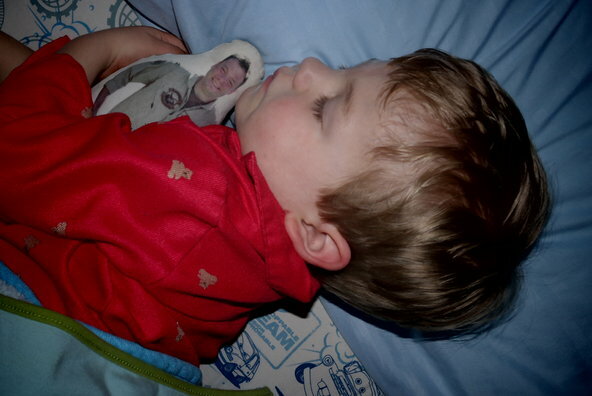 Bedtime around here is the time I feel my husband’s absence the most. We generally tag team dishes and bath, so once the kids are asleep we can enjoy some precious alone time (we also have a 4-year-old daughter). With him gone, I keep holding out hope for a fairy godmother to come do the dishes and fold laundry while I handle bedtime. After several snow days last week, getting both of my babies to sleep was particularly stressful. My little guy would not stay in bed. The sound of those size 9 extra-wide feet running on the wood floor reverberates through the house. I’d already gone through our routine and I’d already been up an extra time to tuck him in. About the fifth time he got out of bed, I went up the stairs prepared to use my scary mommy voice. I paused about halfway up, took a deep breath, and reminded myself that getting angry at him would not make my night any easier. I walked into his room, where he was standing on top of his (bolted down) dresser. I put both hands on my head, and felt myself literally trying to pull my hair out. Another deep breath. I gently picked him up, placed him on the floor and knelt beside him. I clipped in my harness, took a deep breath at the base of the metal ladder and slowly started the long, precarious, 23-foot climb. As the ladder gently swayed with every movement, I tried to create the illusion of composure while getting to the platform at the top as quickly as possible. The mixture of adrenaline and fear is my version of a Long Island iced tea: seems like such a good combination, until you get sick or black out. I remind myself that people (like me) actually pay for this feeling. It was my sixth flying trapeze class. I was still fairly nervous. A handler greeted me on the platform and reviewed the trick I was attempting: the Pullover-Pump-Shoot, my first “blind catch.” I had done the trick close to 30 times, but never with a catcher. Jump from platform, feet come over the bar for a complete backward rotation, and upon command, pump my arms and shoot over the bar into his upside-down hands. “Seems easy enough,” said no one ever. A blind catch is exactly that: You can’t see the person catching you while you’re in the air; rather you just have to let go and have faith that he’s there. I missed him on the first attempt, plummeting to the safety net. My second (and final) effort was textbook. I could be heard yelling “Wooh!” on the video when I felt his hands grasp my forearms. That rush is tough to beat. 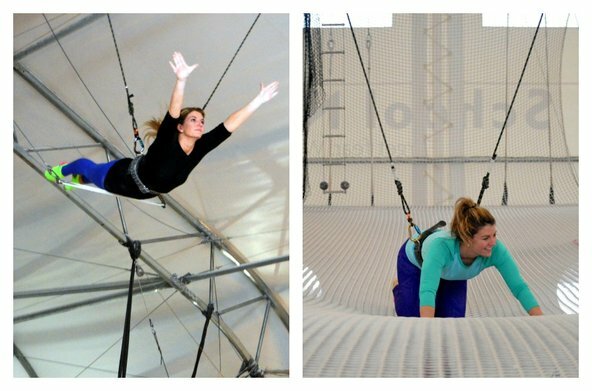 My husband’s cousin Clare introduced me to Trapeze School New York over a year ago, and I was instantly hooked. Our bimonthly class and dinner has become a sacred ritual. The logistics have become more challenging while my husband is away on a Navy deployment, so I greatly cherish those few hours, doing what my mother used to threaten us children with: running away to join the circus. 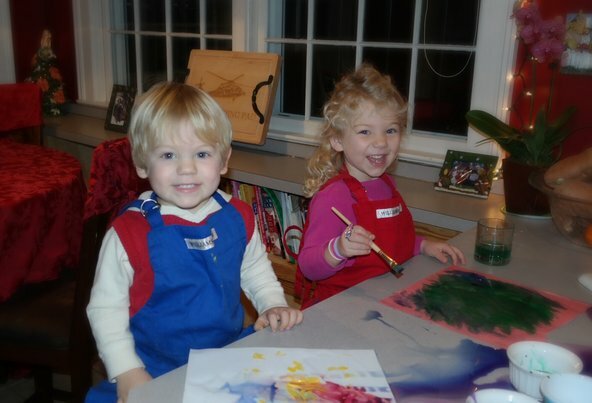 Two toddlers, painting a new picture at home for 2015. I’ve never cared much for New Year’s resolutions. Mostly, I subscribe to the mentality that if you want to make a change in your life, you don’t need a specific date to do it. 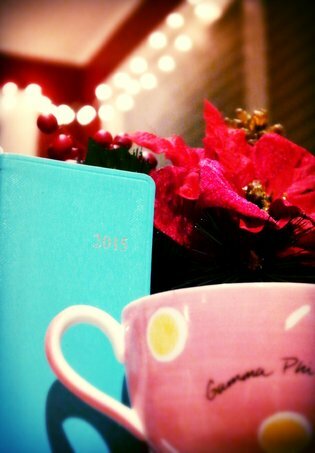 This year, however, I’m giving it a chance, hoping that “if I write it down,” I’ll be more inclined to commit. With deployment hanging over our heads, 2015 will come with incredible challenges for our marriage, our children and ourselves. My husband’s leaving will wreak havoc on so many aspects of our lives, and the anticipation of the actual departure is just as hard, if not more difficult. In the military spouse community, we talk about just wanting to rip off the Band-Aid, instead of slowly tearing it away, prolonging the inevitable pain deployment bears. I have to believe my feelings about being a temporary single mother are synonymous with anyone in this situation. It’s incredibly daunting. And so, how to manage? The piece of advice I receive over and over is that in order to not just survive, but also to thrive, is to take care of myself first. To do that, I need to make some changes. This year, I am pledging to own my choices, invest in myself, and be more intentional with my time. A beautiful mess. I think about that moment frequently, as I struggle to keep my work and home lives separate and balanced. Try as I might, they often bleed across the boundaries I’ve set, and I find myself in constant apology mode. With Deployment Looming, How Do You Measure a Year? This time of year, this week between Christmas and New Year, is fraught with nostalgia and that “unmistakable melancholy that permeates the joy.” It’s hard to believe we celebrated our seventh anniversary this week, and next week we’ll celebrate our daughter’s fourth birthday. As memories often do, there exists a strange dichotomy between what feels like a million years ago and just yesterday. I can’t help but think of the week before our baby girl was born. My husband had just returned from back-to-back deployments, encompassing the better part of two years. Although our home was in Guam, I wanted to deliver near my family in case he didn’t return from Iraq in time. Four years ago today, we sat alone on my parents’ couch in the Midwest, wishing we could be in Georgia with the rest of my family to watch my brother marry my beautiful sister-in-law. Instead, we ate Chinese delivery food and binge-watched episodes of “Parenthood,” hoping that would somehow prepare us for the adventures that lay ahead. It didn’t.